Simon Shepherd has been working with producer, Gavin, on four historical non-fiction works written by Michael Jones. Simon and Gav have recorded Total War and The Retreat and will be recording After Hitler and Leningrad in June. In February 1943, German forces surrendered to the Red Army at Stalingrad and the tide of war turned. 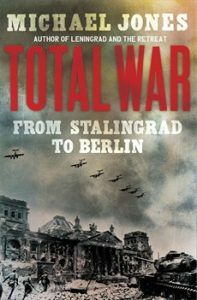 By May 1945 Soviet soldiers had stormed Berlin and brought down Hitler’s regime. Total War follows the fortunes of these fighters as they liberated Russia and the Ukraine from the Nazi invader and fought their way into the heart of the Reich. 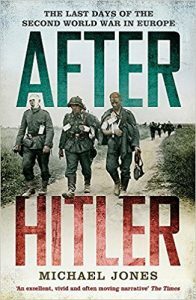 A thrilling historical account of the turning point of the Second World War, when Hitler’s armies were halted on the Eastern Front. 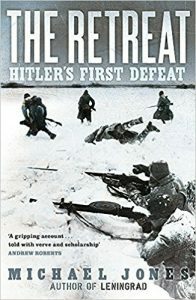 The Retreat draws upon a mass of new eye-witness testimony from both sides of the conflict to tell, with matchless vividness and comprehensiveness, of the crucial turning point of the Second World War – the moment when the armies of Hitler could go no further – and of the titanic and cruel struggle of two mighty empires. On 30 April 1945, Adolf Hitler committed suicide. The following day, his propaganda minister Joseph Goebbels also killed himself and the crumbling Third Reich passed to Admiral Karl Dönitz. The Nazis’ position seemed hopeless. Yet remarkably, the war in the rest of Europe went on for another ten days. After Hitler looks at these days as a narrative day-by-day countdown but also as a broader global history of a European war that had seen some of the most savage battles in history. Relations between the ‘Big Three’ – the United States, Great Britain and the Soviet Union – suddenly plunged to near breaking point. This book reveals that tumultuous story. When Hitler attacked the Soviet Union in June 1941, he intended to capture Leningrad before turning on Moscow. Soviet resistance forced him to change tactics: with his forward troops only thirty kilometres from the city’s historic centre, he decided instead to starve it out. 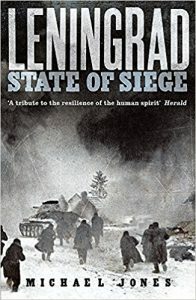 Using newly available diaries and government records, Anna Reid describes a city’s descent into hell – the breakdown of electricity and water supply; subzero temperatures; the consumption of pets, joiner’s glue and face cream; the dead left unburied where they fell – but also the extraordinary endurance, bravery and self-sacrifice, despite the cruelty and indifference of the Kremlin.